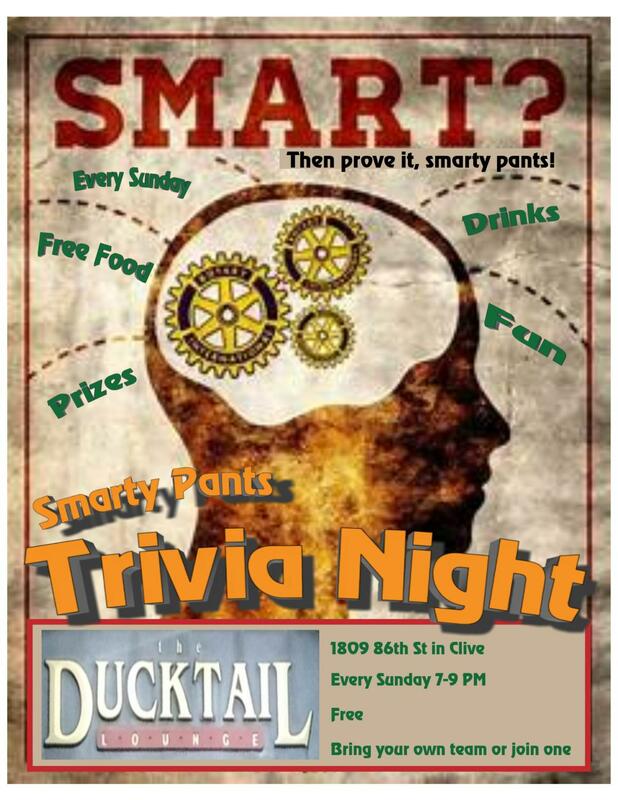 Free trivia night every Sunday at the Ducktail Lounge from 7 to 9 p.m. 1809 86th Street in Clive Iowa. Bring your own team or join one. 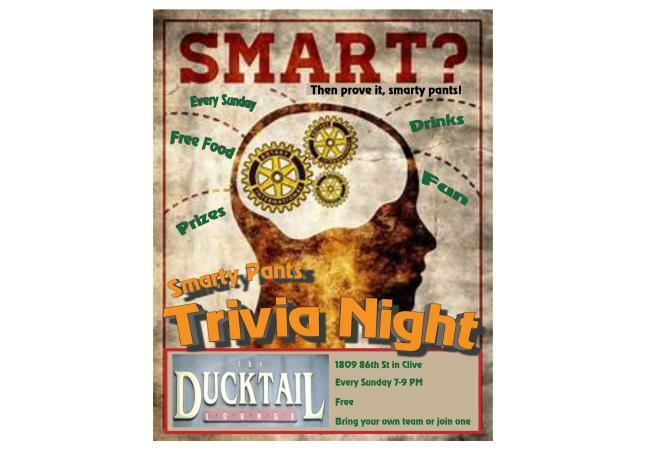 Join us for free food and lots of fun while testing your trivia knowledge for prizes!